Jack LaLanne died Sunday at the age of 96 from respiratory failure due to pneumonia. 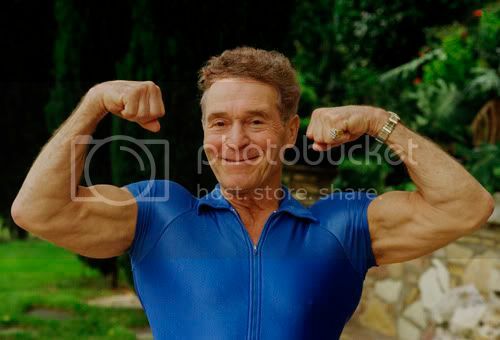 Among his many accomplishments, he hosted "The Jack LaLanne Show" for 30 years. It was first broadcasted in 1959. I remember watching his show as a kid in the latter 60's and early 70's. Remember that jumpsuit he wore? LaLanne's wife was by his side when he passed away at home. She released this statement, "I have not only lost my husband and a great American icon, but the best friend and most loving partner anyone could ever hope for." They were married for 51 years. Thanks Jack for your commitment to health and fitness and for inspiring millions of people. I hope they bury you in that jumpsuit.